Certificate of Competency as Master Mariner (STCW Reg II/2) No Limitations, as well as a DPO Unlimited license. I have experience as Chief Officer on ASD Tugs, Ro-Ro, Container and general cargo vessels as well, and as 1st officer on Passenger vessels. Various companies have appraised me ready for promotion as master. I am used to be in charge of the daily maintenance, cargo operations, Working environment and vessel Safety/Security. I furthermore have extended knowledge in dealing with foreign authorities, Hazardous cargo, Medical care, budget planning & follow up, as well as various computer based shipboard programs. My hobbies and interests are first of all sailing (I once crossed the atlantic alone in a 48 ft sailboat and has later been living in the same sailboat in the Caribbean for 6 years) I like Diving, spear fishing, kayaking, trekking and running - I like to keep myself in a good and healthy shape. I am a very “down to earth” Responsible and experienced seaman, who take great pride in my work. I tend to remain calm in stressed and dangerous situations and I am absolutely not afraid of getting my hands dirty. I do not like disorder and I never leave unfinished work behind. I am a fast leaner and adapting quickly to new conditions, colleges and environments. 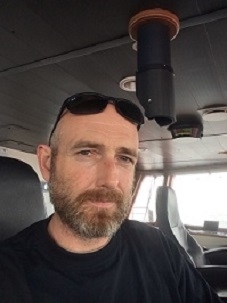 After almost 20 years as Deck officer on a number of different vessel types, I feel that I have a good all round knowledge of the trade, and that I possess the kind of seagoing experience and qualifications that most employers would appreciate. I will be happy to forward copies of all relevant certificates on request.